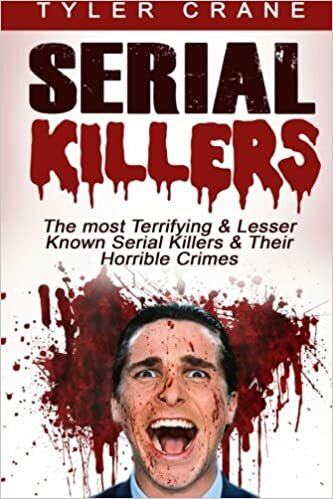 In the new nonfiction series “Killer Profile,” three highly trained, successful criminal profilers lead viewers through the troubled minds and disturbing exploits of some of America’s most vicious serial killers. Each one-hour episode will focus on a single notorious serial killer. Viewers will hear from the detectives who worked the cases, the witnesses and, in many cases, the killers themselves. The profilers featured include Jim Clemente, a retired FBI Supervisory Special Agent and former New York City Law Department prosecutor, who served as a consultant and writer on the hit series “Criminal Minds”; Laura Richards, who left Scotland Yard to take up the role of advising the UK-based Association of Chief Police Officers; and James Fitzgerald, a former police detective and sergeant and FBI Supervisory Special Agent assigned to the Behavioral Analysis Unit who was instrumental in the apprehension of Unabomber Ted Kaczynski. Journey inside the mind of Bobby Joe Long, a serial killer who murdered ten women in seven months. In addition to three highly trained criminal profilers, we speak to the detectives who worked the case, the victim who got away, and in a rare archival interview, the killer himself. Enslaved, chained women in the basement. A freezer full of dismembered body parts. The horrible stench of burning flesh. The scene that greeted Philadelphia authorities in 1987 cemented Gary Heidnik as one of the most sadistic figures of the 20th century. Delve into the mind (and beneath the dilapidated floorboards) of the infamous killer and his cellar of torture–the site of forced cannibalism, electrocution, and crucifixion, all imposed upon young women abducted from the city streets. Fun and games turn deadly when childhood friends Wesley Shermantine and Loren Herzog take their shared love of hunting to a new level, preying on humans for sport. Fueled by methamphetamine use, the pair racks up an ever-growing tally of victims. Eventually (and thankfully), the duo’s loyalty to one another becomes the final casualty of their deadly, decades-long rampage–one that continues to provide crucial clues to investigators still working to find human remains and identify victims. Timothy Krajcir’s five-year killing spree didn’t come to light until twenty years after the fact, when DNA evidence set off a domino effect ultimately linking the onetime EMT to murders of nine women between 1977 and 1982. Shunned by gay and straight communities alike in his native Louisiana, Ronald Dominique opted to create his own existence–one in which he raped and killed more than two dozen men over the course of a decade-long spree, securing his place among America’s most prolific serial killers. 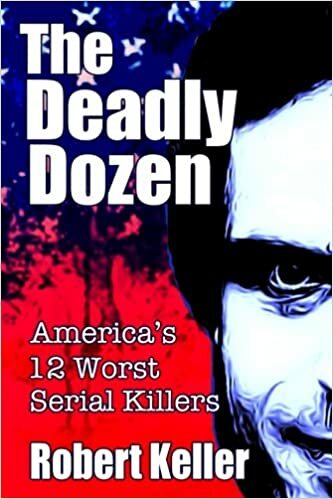 One of four serial killers tormenting Louisiana in the late 1990s through the early 2000s, Sean Vincent Gillis saw women as a collection of parts – and set about turning them into just that. Israel Keyes stands to be remembered as one of the most elusive and far-reaching serial killers in history – but only if law enforcement can piece together the labyrinth of hints, left before his 2012 suicide, to identify countless victims he claims to have killed over the previous fifteen years. Carolyn Warmus grew up in Birmingham, Michigan. She was the daughter of a self-made millionaire who accumulated his wealth through the insurance business. Carolyn had a history of stalking her lovers.